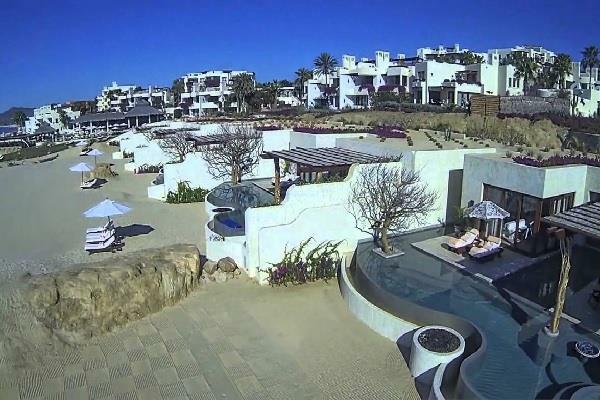 Located in San Jose del Cabo, Las Ventanas del Cabo is nestled into the natural slope of the land that it contours. This magnificent resort is located between the historic town of San José del Cabo and Cabo San Lucas. Also, it’s located very close to Cabo Real Golf Course and Chileno Beach. So, the location is prime. And, you’ll probably end up spending more time at this five-star resort than you anticipate. Ventanas del Cabo residences was created in three phases. And, each phase provides a unique look and feel. The houses and condominiums feature architectural styling that combines Mexican and Californian accents throughout. This uniqueness and variety allows residents to feel right at home, no matter their style preferences. It all started in 2006, when the ground was broken to build 116 houses and 44 condos. The plan for this community included a club house, public pool, a small deli, fitness center, business center, television lounge, concierge, and property-management services. Upon completion, many homes were already sold, and the appeal of this wonderful community attracted buyers from around the world. The second phase began in 2009. This community includes 103 houses and 36 condos. With this expansion came more areas and amenities in the club house. An excellent restaurant and spa were added, along with a Kids Club and an outdoor Pets Park. Also, this community includes property management services and a concierge. This third and final phase includes 63 houses and 36 condos with an extraordinary view of Land's End Bay. Phase three began in 2010. But, after completion, a second section added 79 more houses and 36 more condos to this community in 2015. The economic indicators, year-after-year, show that Ventanas del Cabo real-estate values are rising fast. And, since the market is very solid, and new improvements and developments are happening all over the area, this little oasis is a solid investment. 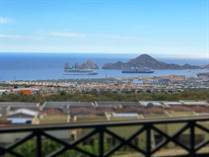 Ventanas del Cabo provides great value, along with being a great location. So, if you're looking for a home, lot, or commercial property, there’s never been a better time to buy! Are you ready to start living your own dream? Please take a moment to look through the listings of Ventanas del Cabo homes, lots, and condos for sale here at Los Cabos Agent. For over 11 years now, Los Cabos Agent has been helping clients find the best villas and condos in Ventanas del Cabo and Los Cabos for their lifestyle and budget. And, they're highly-skilled negotiators who can get you the absolute best price, whether you wish to buy a property or quickly sell your Los Cabos real estate. If you’d like to take a tour of a property in Ventanas del Cabo, just click CONTACT to inquire. Or, call dirctly at 619-831-2000. Los Cabos Agent will be happy to answer your questions and schedule a time to show you around this breathtaking village, just north of Cabo San Lucas. Lot Size 436 sq. m.